Here’s what I’ve been up to during the first week of Lent. Giving up Facebook has provided time and energy for other projects. I decided not to obsess over food-related Lenten disciplines, though I have managed to do without cookies and cakes. 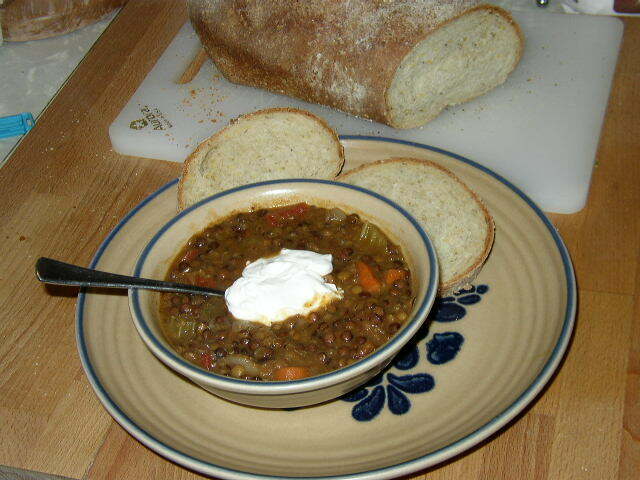 After finishing off last week’s Baked Rigatoni and Italian Herb Focaccia, I brewed up a big batch of Lentil Soup and baked a loaf of 10-grain bread (using the recipe in Rose Levy Beranbaum’s Bread Bible). So I’ve been eating simple but hardy soup & bread all week (and have quite a bit frozen for future meals). 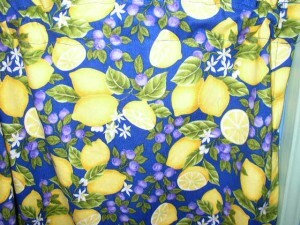 Several years ago I bought this beautiful, bright fabric to make a curtain for the window in my stairway. 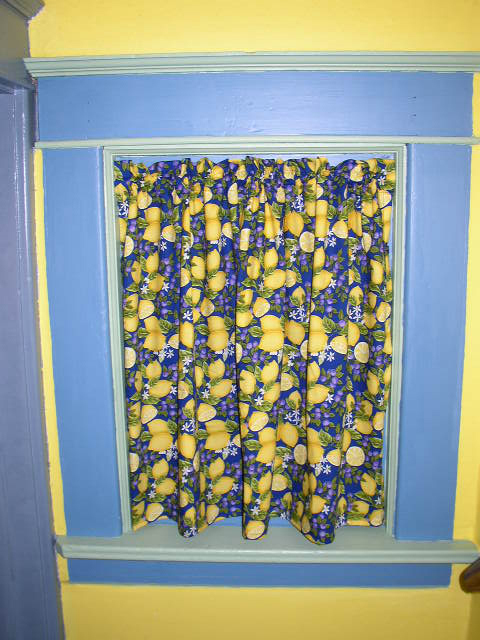 A few days ago I finally made the curtain. I think it looks perfect! 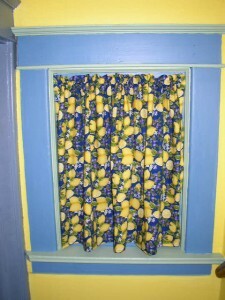 The remaining fabric will go for a similar curtain for my back door. 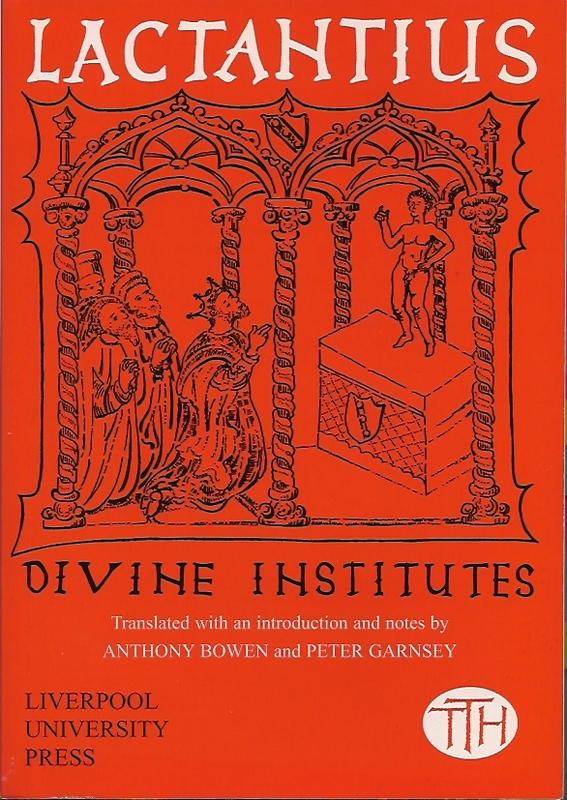 After my Willa Cather Book Group disbanded, I decided to join a Lenten Reading Group through the University Episcopal Community in a study of Lactantius’ Divine Institutes. Lactantius was the first Christian to compose a comprehensive account of the faith of Christians in the Latin language. 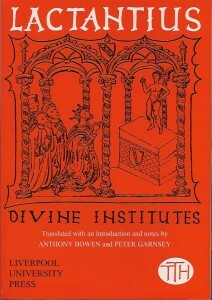 The Divine Institutes, written during the last Great Persecution of the Church by the Roman authorities (303-13 A.D.) was meant as a definitive description of Christianity that would answer all possible pagan objections and provide a permanent way which would draw middlebrow folk on to ‘that full and overflowing fount of teaching which slakes thirst in the inmost parts’. Among these middlebrow folk was Constantine the Great (306-37), who emerged from the years of the Great Persecution as the first Christian emperor. The Divine Institutes open a window onto the Christian experience of persecution and onto the sort of Christianity embraced by Constantine. What they have to say, in particular about Christian ethics and the Christian hope, still has the power to illuminate lives today. For the first week our assignment was Books I-III, 225 pages setting the stage for the rest of the book’s defense of Christianity. I made it through 187 pages. So far Lactantius’ primary rhetorical device seems to be ridiculing the beliefs of the pagans and calling them “stupid.” He is rather witty (probably more so to those more well-versed in classical literature) and I did mark several passages that made me laugh out loud. I marked even more passages that seemed to contain criticisms which could be as easily leveled against Christianity as against the pagan gods. In any case, the man leading the group is entertaining and full of great stories, so I’ll likely plow through the remaining 250 pages, which spread over the next five weeks should be less arduous than this first section. My church, which has a partnership with a church in Bigonet, Haiti, has produced a book of stories (and a set of posters) about Haiti, in English and Haitian Creole. 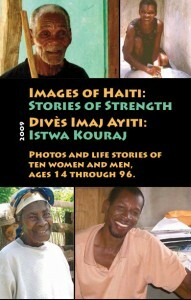 I’m helping out with a bit of internet research locating Haitian Studies and Creole Language Programs for possible marketing of the book and associated posters. The book and posters are being sold through SyracuseCulturalWorkers.com. Or contact me to learn more about it! On top of all that, in the evenings I’ve been trying to stay awake to watch the Olympics, though don’t get me started on the NBC Olympic coverage–ARRGGHH!! And I’m still managing to take my naps, do my yoga, and otherwise manage my CFS. I doubt I can keep this up for long (I occasionally have bursts of energy followed by periods of total exhaustion), but I’m thankful for this productivity nonetheless. Apologies for the 2 months between posts. Too much Facebooking. I have updated some of the recipes by adding photos (see Apple Cake, Evil Jungle Prince with Chicken, and Thai Eggplant with Broccoli/Bok Choi). Getting ready to head off to vote. Drinking my coffee and waiting for my oatmeal to cook (so I’ll have a full tummy in case there’s a long line at the polls). The day did not begin well. The morons at Minneapolis Public Works picked today to start digging up the street in front of my house (which happens to be half a block from the local polling place). At 6 am they arrived with their big truck and back hoe. Since then they’ve added more heavy equipment. They’ve just finished sawing the pavement and are now using jackhammers to break up the asphalt. Some of you know that I have a bit of a bad history with jackhammers. I worked in an office where they decided to jackhammer cinderblocks in the basement beneath my office at the same time they were tuckpointing bricks on the exterior of the building. For a month I couldn’t hear myself think or talk on the phone because of the noise. I lost a filling from the vibrations. And I still have ringing in my ears. Needless to say the sound and vibration of a jackhammer sets my nerves quite on edge. More after I return from the polls. 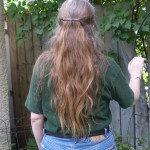 As some of you know, I’ve been growing out my hair for several years. A few months ago, I decided to donate it, but it took a while to figure out which organization and what the requirements were, etc. 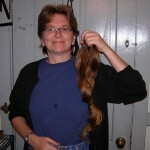 I ended up going with Pantene Beautiful Lengths because they are more focused on providing wigs for adults (and it seemed that many people were doing the “Locks of Love” thing for kids). Finally, on August 22nd, I took the plunge. The before and after pics are below. So now you know that the picture at the top of these pages is rather old (about 15 years old) . . .
My next post will deal with some of the craziness related to the recent Republican National Convention in St. Paul, Minnesota . . .